The best double glazing installers in the UK are Anglian, Everest, Safestyle, Weatherseal, and Zenith. Most big-name manufacturers offer similar pricing or price-match guarantees but some charge more for higher quality products. Only two companies in the UK manufacture the uPVC filament used to manufacture uPVC frames, which means that most uPVC frames are the same except for price and design. In most cases, the best way to get a good deal on your glazing is to compare quotes from multiple installers so you can get the best price on the windows you want. Start here to compare. While there are thousands of double glazing installers across the UK, including small local installers, the following include the best and biggest glazing companies. While some companies are better than others, your choice should depend on which company offers the most value to you. It’s important to get and compare direct quotes to see what each company offers in your area for your specific home before you decide. Double Glazing Range – Zenith offers 5 different types of frames including casement, sash, tilt & turn, bay, and bow windows. These come in a variety of colours in A rated glass, with up to 25 decorative glass options, plus different accessories. However, Zenith only installs uPVC windows. 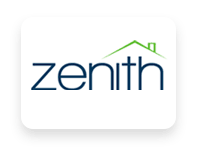 Guarantee – Zenith offers a standard 10-year GGFI insurance backed guarantee on all their products including sealed units. Quality – Zenith has a reputation for installing high quality doors and windows, most of which are manufactured, sold, and installed by companies participating in the Entu group. This allows Zenith to retain a high level of quality control, making their windows some of the best in the UK. Everest is the second largest double glazing installer in the UK with over 3% of the total double glazing market share. The company is one of the only UK double glazing installers to control every step of their production process from manufacture to retail and installation, and the only to maintain a product development team, design team, installation team, and sales team rather than contracting out labour. This gives Everest much more control over the total quality of their products, enabling the company to offer a premium experience. This is typically reflected in the price, which can be significantly higher than some other brands. Double Glazing Range – Everest maintains the largest range of double glazing windows in the UK. Their store includes a range of customisable windows, which you can choose based on individual features, for a total of over 700,000 different combinations. These include uPVC, timber, and aluminium frames in casement, sash, dual turn, and tilt & turn styles, 30 opening styles, 3 types of glazing, 25 colour options, and 7 types of glass with multiple variations on decorative glass. Guarantee – Everest offers the most comprehensive warranty in the industry. In addition to the standard 10-year guarantee on all windows, Everest offers a lifetime guarantee against uPVC discolouration, a lifetime guarantee against fog and condensation on uPVC and aluminium windows, a 30-year rot and fungus guarantee on wood windows, and a 25-year finish and profile discoloration guarantee on aluminium windows. 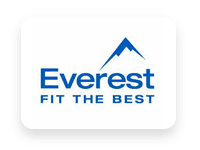 Quality – Everest designs, manufactures, and installs all their own windows to a very high quality standard, and as such are one of the best double glazing brands in the UK. While more expensive than some of their competitors, Everest offers leading products in security, energy efficiency, and construction. Location: HQ in Cuffley, Hertfordshire. Manufacturing plants are located in Kent, Sittingbourne, and Treherbert, Wales. Area: Most of Great Britain, including Jersey. Double Glazing Range – Anglian offers casement, cottage, bay, sash, and tilt & turn windows in wood, uPVC, or aluminium. Windows typically feature an A to AAA+ energy rating, with double and triple, as well as secondary, glazing available. Anglian also offers a wide variety of glass options, including designer collections like Laura Ashley, giving you a very wide range of options to choose from. Guarantee – Anglian offers a 10-year guarantee on all parts and labour for windows, plus a 15-year guarantee on gas sealed units. 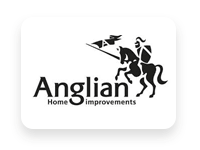 Quality – Anglian offers very high quality doors and windows, and manufacture and sell everything themselves. Their Made in Britain guarantee ensures that all products are produced ethically, ensures that jobs benefit the local economy, and ensures more quality control than international manufacturing. Anglian is the only double glazing installer in the UK to offer 14 Energy Savings Trust endorsed windows. Safestyle stands out with one of the highest consumer ratings, a 24-month interest free finance plan, and a lowest-price guarantee on equivalent products. The double glazing installer offers high quality uPVC and wood windows, sources most of their products from the UK, and offers quality parts and fittings. However, Safestyle does contract out most of their fitting and survey work, meaning that actual fitting may be performed by a local company. Safestyle’s lowest price guarantee means that even if you’ve already signed a contract, they will match a lower price offered, so long as you submit a claim within 7 days of signing your contract. Double Glazing Range – Safestyle offers sash, casement, tilt & turn, and bay windows in wood and uPVC with up to 23 different frame colours. The company also offers A to AAA+ glass, making their windows an ideal choice for saving on energy bills. 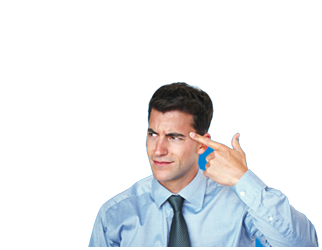 Guarantee – Safestyle provides a standard 10-year GGFI insurance backed guarantee on all their products. Quality – Safestyle offers very high quality doors and windows, typically installed by local contractors, and participates in multiple quality control schemes. With one of the highest consumer ratings of any national glazing company in the UK, Safestyle also maintains a very high level of consumer satisfaction, before and after the sale. 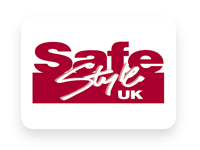 Area: Mostly catering to England and Wales, Safestyle has over 40 branches nationwide. Scotland and Ireland are currently not covered. Product Overview: While Safestyle only has uPVC, they are the first double glazing company to introduce the Eco Diamond range of A-rated glasses which are available in most of their window styles. They also offer uPVC windows and doors of various styles. Weatherseal is a double glazing company and part of the Entu group. Like Zenith, Weatherseal offers a range of uPVC doors and windows, mostly manufactured under the umbrella of the Entu group. While Weatherseal has the worst reputation and offers fewer products than any of the other top double glazing companies, it frequently offers steep discounts and sales, which you can use to cut the cost of your total installation. Double Glazing Range – Weatherseal offers 3 types of frames including casement, tilt & turn, and sash windows which are available with 6+ glass types, 3-6 colours, and several choices of accessories. Guarantee – Weatherseal provide a standard 10-year GGFI insurance backed guarantee on all their products. Quality – Most Weatherseal windows and doors are manufactured, sold, and installed by a member of the Entu group. 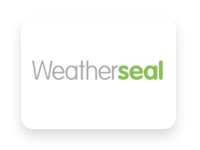 While products are often manufactured outside of the UK, Weatherseal has more control over their entire process and quality than a smaller company. Why Choose a Big Company? While small double glazing companies can sometimes offer a better price, it’s often in your best interest to choose a larger company anyway. Why? Larger companies can afford better warranties and guarantees, and many of them are insurance backed. This means that even if your installer goes out of business, your guarantee will still be honoured. Larger companies can also afford faster installation, offer better sales and discounts, and can install in more areas. If price is your absolute biggest priority, you should compare quotes and try to find the lowest-priced installer with a quality guarantee. There are also companies that only manufacture the windows. For the installation, you have to contact one yourself. You can either buy direct or ask your installer to buy the windows from these companies and then install them. Some of these companies have a recommended installer database that you can peruse. In some cases, choosing your double glazing installer will come down to which company offers the lowest price. In this case, companies like Anglian and Safestyle will typically stand out. However, if you are concerned about quality, longevity, warranty, or having more options, Anglian will stand out as well. When picking the best double glazed windows for your home, you have to consider four important factors. When it comes to the style of the windows, there are four options to choose from: the Sash, Cottage, Bay, Tilt & Turn, Dual Turn, and Casement. These are the most popular styles. The style of your property will determine the best type of windows for your house. When it comes to the actual replacing of the windows, it is always best to match the new windows to the ones you are replacing. Also, be sure to check out the predominant style on your street in order to properly fit in with the aesthetic of the neighbourhood. The most popular of the bunch are casement style double glazing windows. The installer will usually quote this as standard is you haven’t specified any preference. The cheapest option for sash windows is uPVC. Timber can cost as much as 40% more for the windows alone. The age of the property and whether it is located in a conservation area are ultimately what sets the costs of replacing sash windows. Aside from the material costs, there’s also labour costs to take into consideration. Also known as Georgian and Tudor windows, cottage style windows are usually reserved for older homes. Modern versions of cottage windows are available in a wide variety of materials which include the ff. : aluminium, uPVC, and timber. Cottage windows feature horizontal and vertical strips. They are also low maintenance and help conserve energy. The cheapest materials are uPVC frames but using them can reduce the value of period cottages. For those who are on a budget but wants timber, softwood is a popular option. Hardwoods are more durable. stable, and also offers a longer lifespan. However, they are also up to four times more expensive than softwood. Bay windows are those that project out from the main walls of the house and forms a bay within the room. A hugely popular feature of Victorian homes, this type of windows can now be found on almost any type of home. Bay windows increase the flow of natural light from outside, thereby making the room appear larger. Bay windows have four types: Box, Bow, Circle Bay, and Oriel. The number and type of windows and its properties, the configuration of the frames, the size, and the security options all determine the cost of replacing or installing new bay windows. For example, a bow window will cost more because it needs more glass and it covers more space. The roof of the bay window is another matter to consider, whether it is pitched or flat. Labour costs also need to be considered. Unlike most standard windows, tilt and turn windows open inwards. This makes them safer, allows more ventilation, and makes upkeep easier. Due to their security features and excellent weatherproofing, tilt and turn windows have long been the standard on the continent. You can choose between tilting the window inwards slightly or turn it fully and have it wide open. This is very easy to open and close since the window opens inwards and not outwards. More expensive than casement windows of the same material are uPVC tilt and turn windows. This is because tilt and turn windows have a more complicated operating system and locking mechanism. When picking this style, you also have to take into consideration the labour costs. The modern alternative to casement or sash windows without compromising on the performance or appearance. Dual turn windows have the aesthetics of the iconic sash window but it also functions like the modern tilt and turn windows that provide longevity and thermal and security performance. You can easily clean these windows from inside the house because of how they are constructed – both sashes can fully rotate. This feature also means that you can use these windows as emergency exits. When considering dual turn windows, you also have to mind the materials to be used, glazing, colour, noise proofing, and also security and fittings. To enhance the design of the window, you can also add bar patterns. Using timber would markedly increase the costs of replacing or installing dual turn windows. You can pick softwood if you are on a budget but you want timber. If, however, you have no budgetary constraints, you can opt for hardwood. Hardwood is more expensive than softwood although it is more durable and stable. Known for their practicality, casement windows can be made to fit almost any height and width. 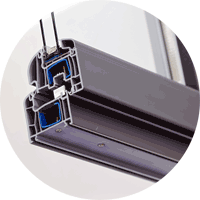 Attached to a frame by one or more hinges, they are a highly versatile type of windows. Casement windows are available in a wide array of finishes and materials. They also offer excellent insulation and security. Since all casement windows are fully sealed, they are capable of reducing heat loss and improving the energy efficiency of any home. There are some casement windows that have leaded glass patterns, which is a great way to add character to your home. Like all the other window styles, costs vary depending on the materials used. Plain white frames are the most affordable but also the most blase. The next tier, wood effect uPVC frames, costs around 15-20% more while aluminium frames cost 30-50% more. The most expensive, timber framed casement windows, fetch around 30-50% more than aluminium windows. This still depends on the nature of the wood. The most popular material for double glazing is uPVC. Timber/wood frames are also a good option since they are the most stylish and the best looking, perfect for more traditional homes. Aluminium frames are also available, they are modern looking and can be had in multiple colours. Unless your property needs to have a specific look, uPVC is probably the best option. Wood is only sensible if you need wooden frames to fit with the design of your house or if you live in a listed building. Aluminium is not yet commonly used on residential properties. Large commercial type properties are the current main users. The security and energy efficiency of your new windows should be the main considerations. The British Fenestration Rating Council gives an energy efficient rating to new windows and doors. The ratings range from A+ (the most energy efficient) to G (the least efficient). When choosing windows, go for those with the highest rating. You’ll get your money’s worth on them and more in the long run. Another thing to consider is the security of your new windows. See to it that they meet or exceed the British Security Standard and that they are securely beaded to prevent removal of the glass from outside. If you’re ready to install double glazing in your home, use our free tool to find and compare quotes from the top installers in your area. We’ll request quotes for you, so that you can save up to 37% and get a better idea of which companies offer the most for your money. It’s completely free and there’s no obligation.